I'm glad to finally be posting again on my blog! I missed going out with my wife, snap some looks and write about what's going on in my life. On our last trip to the mall we made a stop to Pacsun and I found this floral shirt and I knew I wanted to buy it since I do not own anything like it. 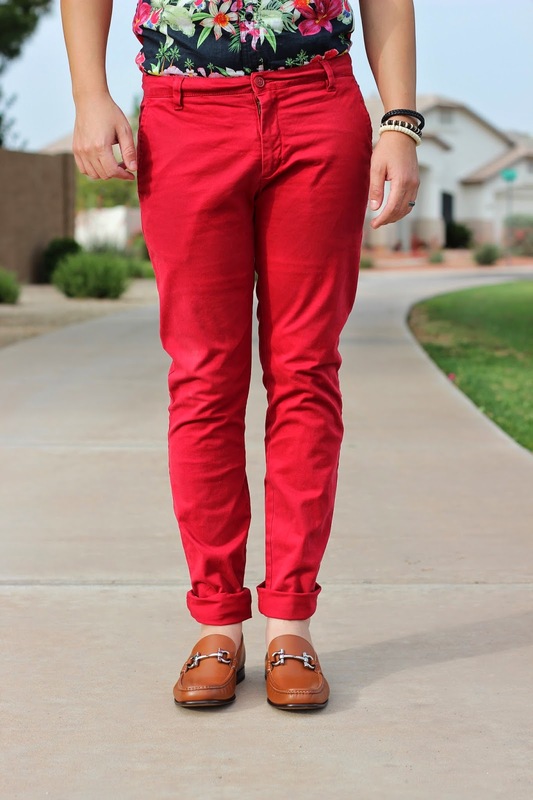 The shirt is really out there, (in a good way): The floral print makes an awesome contrast with these red chinos from H&M. To give it a "fresh" look, a pair of Ferragamo loafers. I enjoy the versatility of this shirt, you either tuck it in or not; it looks awesome either way. I'm planning on heading over to Hawaii in September…I think this outfit would look awesome while walking Waikiki! Estoy tan feliz de regresar a mi blog! Extrañé las salidas con mi esposa para tomar fotos de mis conjuntos, y a la misma vez escribir de que pasa en mi vida! En nuestra ultima salida al centro comercial paramos en Pacsun y encontré esta camisa floreada. Decidi comprarla ya que no tengo nada por el estilo en mi closet. 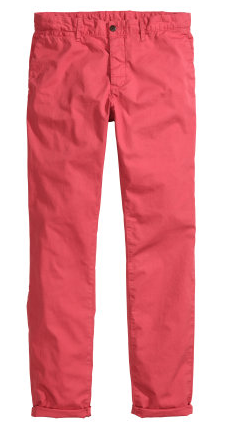 Me agrada que la camisa llama la atención y hace muy buen contraste con estos pantalones rojos de H&M. Para darla un toque "fresco", vestí el conjunto con estos zapatos de Salvatore Ferragamo. La camisa luce bien ya sea que este fajada o no. 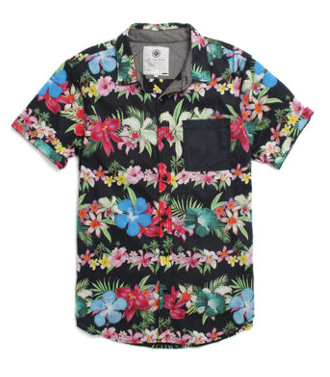 Estoy planeando salir a Hawaii en Septiembre…creo que este conjunto se veria padre por las playa de Waikiki! Que bonita la camisa ! 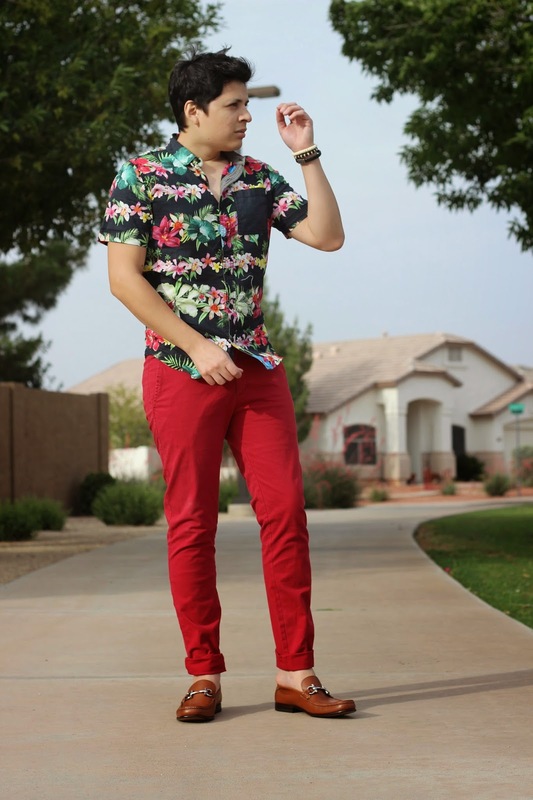 la tendencia floral me apasiona, me encanta el contraste con el pantalón rojo.